Left flank of the 11 inch battery is on the photo. 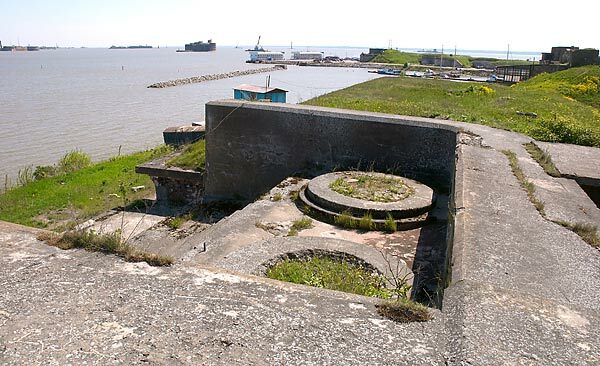 These emplacements where intended for two 57-mm Nordenfeld guns. 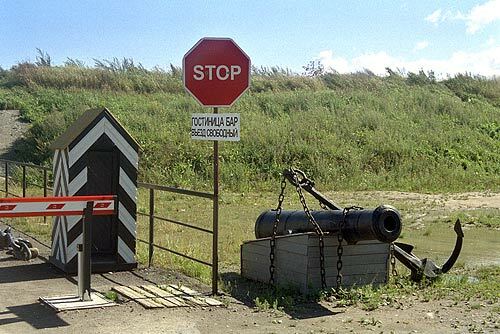 Left flank of Constantin fort is on the background and behind it forts Pavel, Alexander, Kronslot and Peter the Great (from right to left) can be seen.